Municipal workers in Japan struggled on Friday to restore water supply in the flood-hit western region a week after inundation caused by a record downpour killed more than 200 people in the worst weather disaster in 36 years. Communities that grappled with rising floodwaters last week now find themselves battling scorching summer temperatures well above 30 degrees Celsius, as foul-smelling garbage piles up in mud-splattered streets. Water supply has been restored to some parts of the district, a city official told Reuters, but he did not know when normal operation would resume, as engineers are still trying to locate water pipeline ruptures. The soaring temperatures have fuelled concern that residents, many still in temporary evacuation centres, may suffer heat strokes or illness as hygiene levels deteriorate. Public broadcaster NHK has spread advice on coping with high temperatures and maintain hygiene, such as a video tutorial on how to make a diaper from a towel and plastic shopping bag. More than 70,000 military, police and firefighters have fanned out to tackle the aftermath of the floods. There have been 204 deaths, the government said, with dozens still missing. 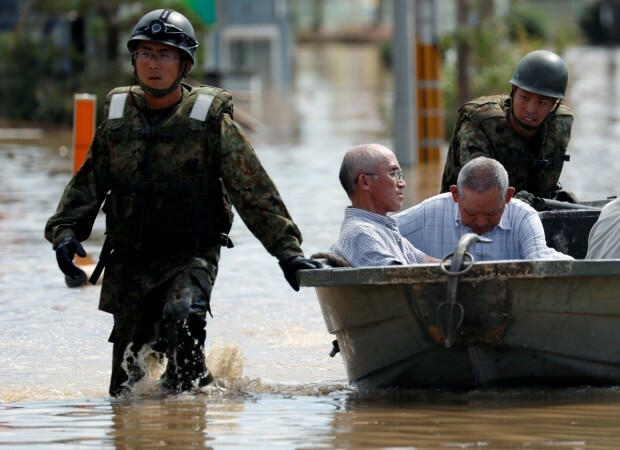 Chief Cabinet Secretary Yoshihide Suga, the government spokesman, urged people in flood-hit areas to take precautions against the heat, and guard against thunderstorms. "People still need to be aware of the possibility of further landslides," he told a regular news conference on Friday. 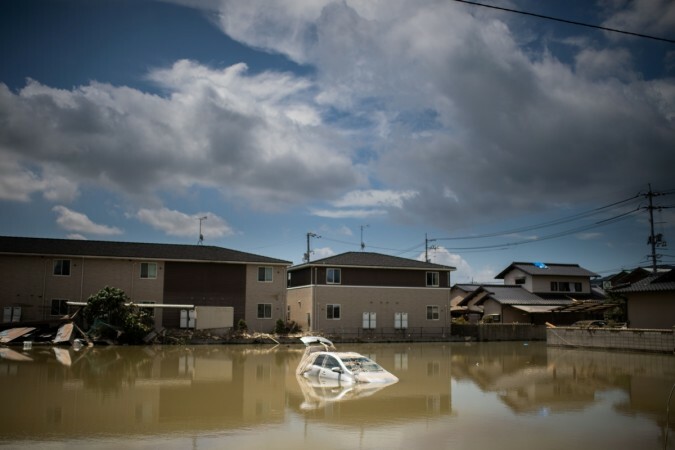 Severe weather has increasingly battered Japan in recent years, including similar floods last year that killed dozens of people, raising questions about the impact of global warming. Prime Minister Shinzo Abe, who cancelled a scheduled overseas trip to deal with the rescue effort, visited Kurashiki on Thursday and said he aimed to visit other flood-damaged areas on Friday and over the weekend. BJP candidate Sadhvi Pragya: Will EC ban 2008 Malegaon blast-accused from contesting polls?